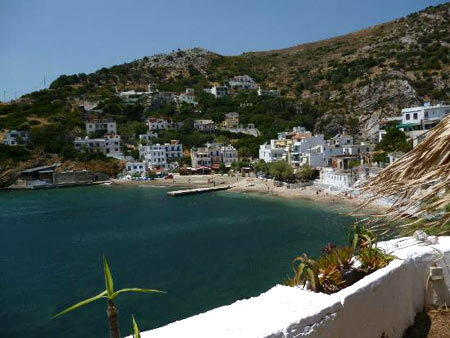 Located in the city of Therma, Ikaria's center for radioenergic therapeutic hot mineral springs spa therapy, Therma Beach is easily accessible and ideal for older persons and families. The beach is sandy and located in a protected cove. 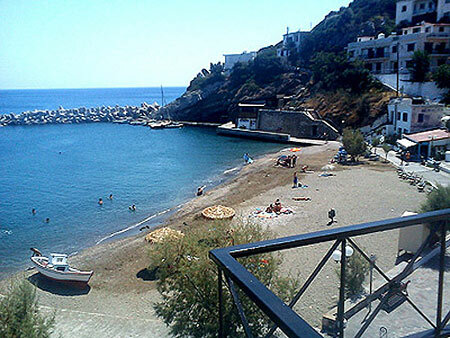 Behind the beach are various cafes and restaurants, and a water taxi and loca bus shuttles to and from Agios Kirikos throughout the day. 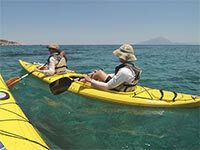 Kayaks and peddle boats are rented on the beach. There is also a rinse shower and a few public umbrellas available to the public for free. 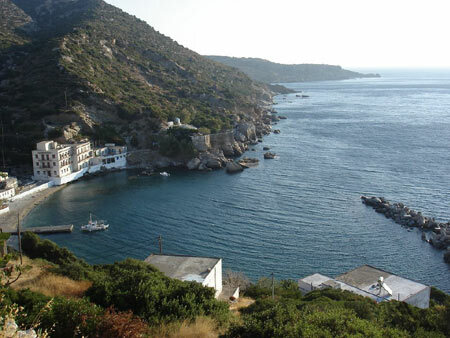 A ten minute hike north-east from the beach, on a footpath marked with green paint beginning from behind the hilltop Agriolykos Pension, leads to the ruins of ancient Therma and the spring named "Loumakia." 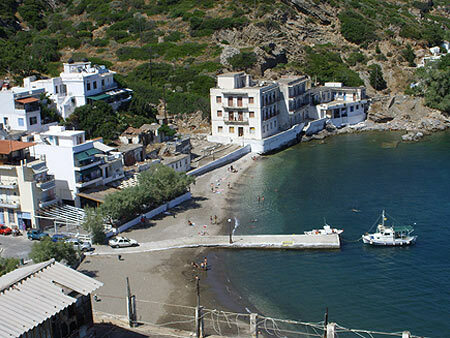 This natural hot mineral spring runs into the sea forming a small pool where it is possible to enjoy the thermal waters while bathing in the sea. 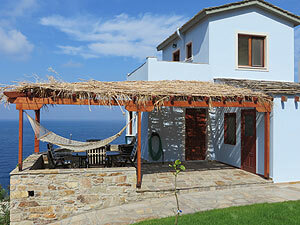 Therma is also the center of Ikaria's Therapeutic Thermal Baths and facilities. 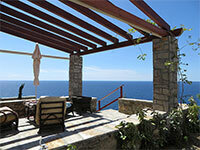 You can take a relaxing jacuzzi or use the natural steam room at the nearby "Cave Spa" (Spilia). Massages are also available in the town.